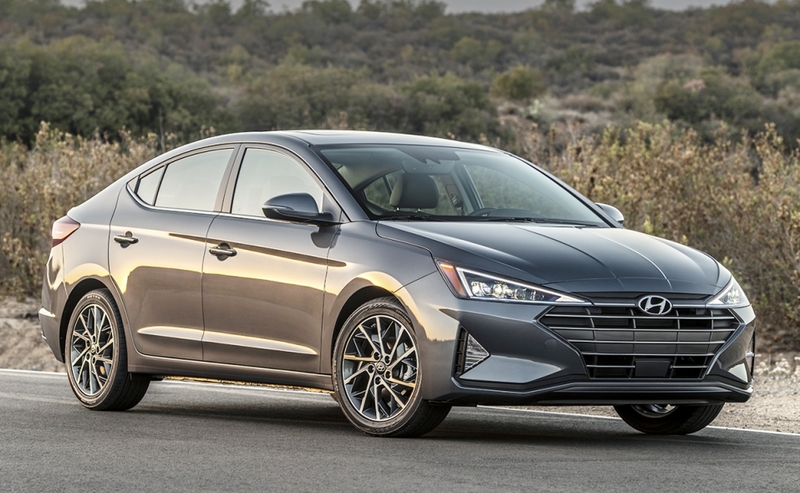 PARK CITY, Utah -- Hyundai is freshening the Elantra compact sedan, the brand's best-selling U.S. nameplate currently, for the 2019 model year, giving it a slightly sharper look and more standard safety features. 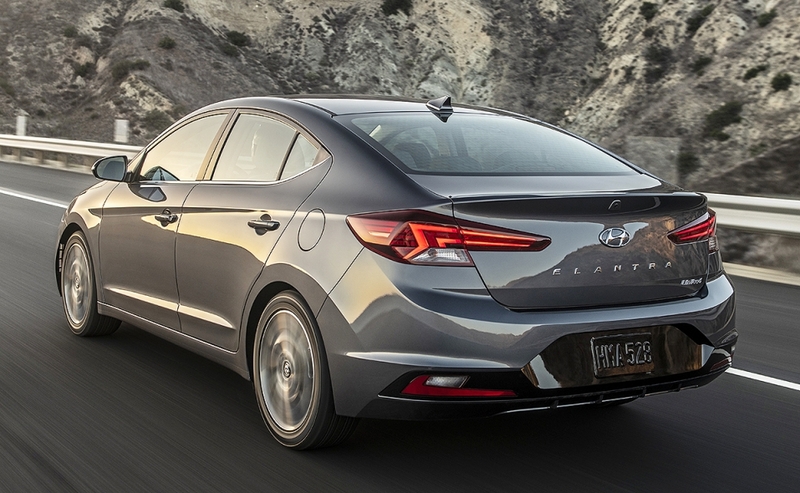 U.S. sales of the Elantra totaled 113,481 units through July, down 0.1 percent from the year earlier period. 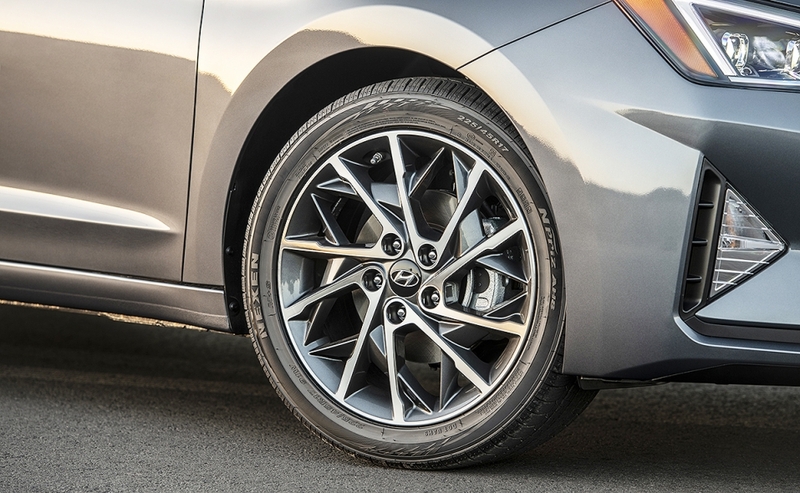 The updated model arrives in dealerships this fall. 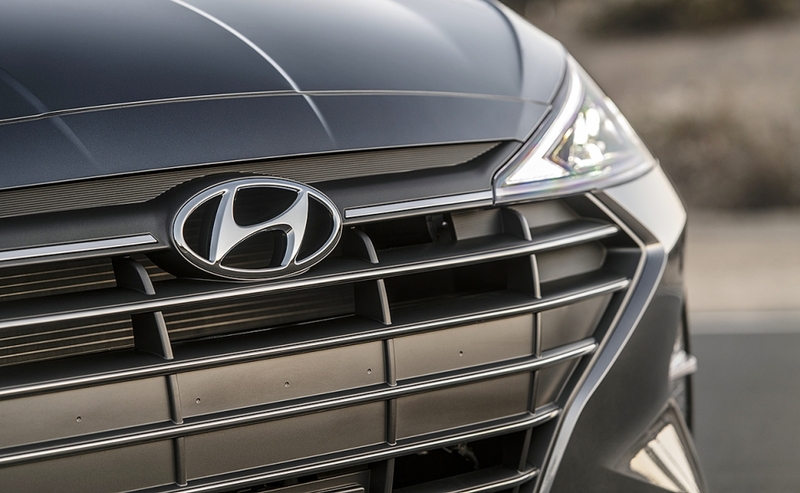 "We invested a lot of money into this mid-life freshen," Mike O'Brien, Hyundai Motor America's vice president of product, corporate and digital planning, said at the unveiling during a media event here. "It just shows our commitment to the category. It's still very robust." Noticeable changes include new fenders, a new hood and new lights up front, as well as a new grille, bumper and decklid. 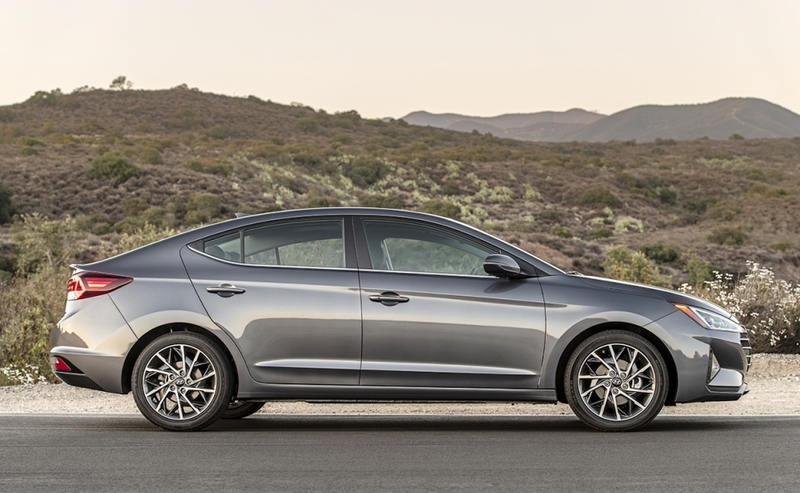 Hyundai's SmartSense suite of safety features will be standard on the car, except for the base trim. 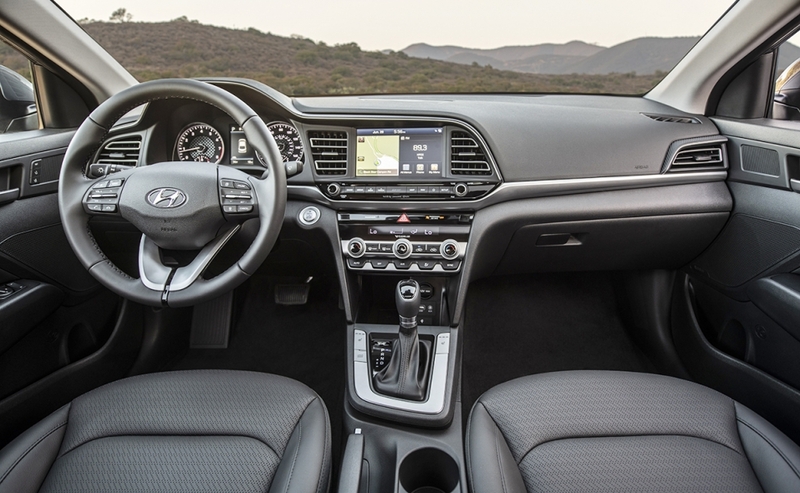 SmartSense has become standard equipment on other models in the brand's lineup, including the redesigned 2019 Santa Fe. 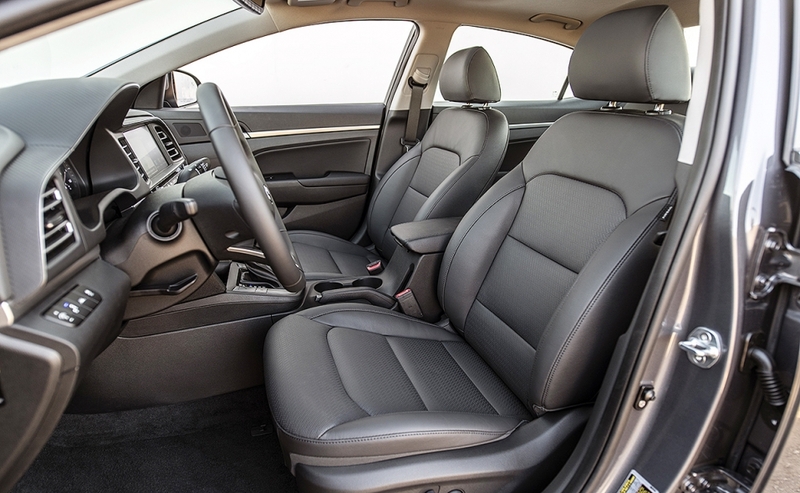 "We're adding a similar suite of safety features to this car because it's such a price-conscious category," O'Brien said. 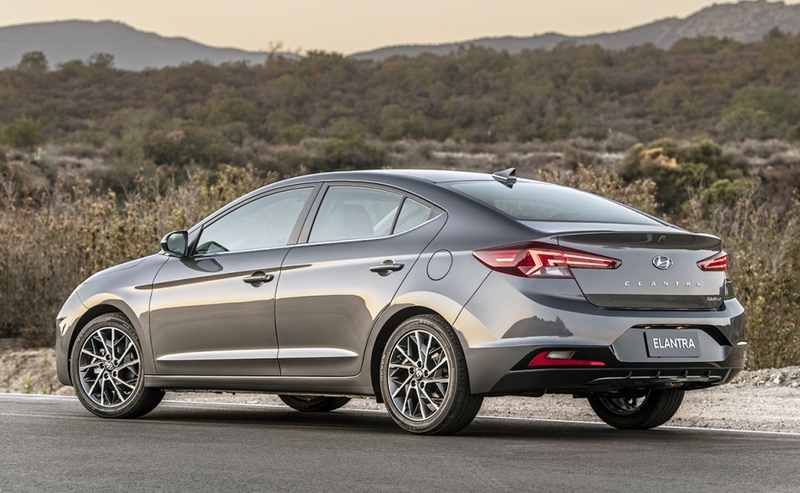 "It's on every car standard, except for the very base model." 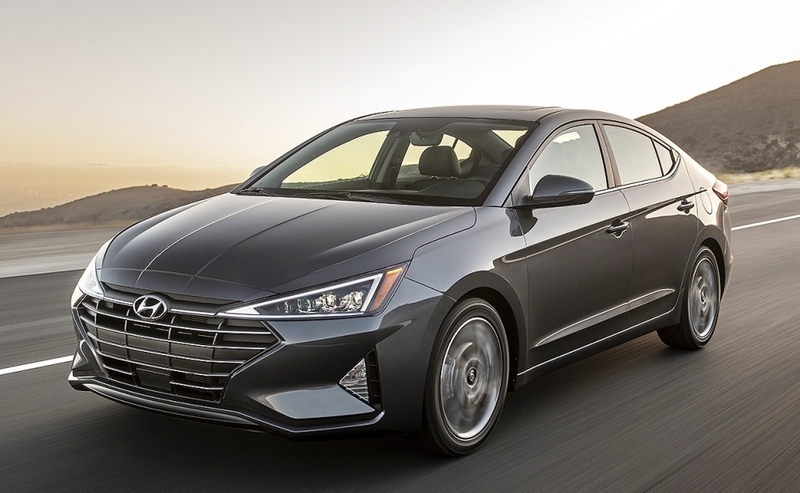 For the Elantras in SEL trim or above, SmartSense is made up of standard forward collision-avoidance assist, lane-keep assist and driver attention alert. Inside, there's a redesigned center stack as well as a new instrument cluster. 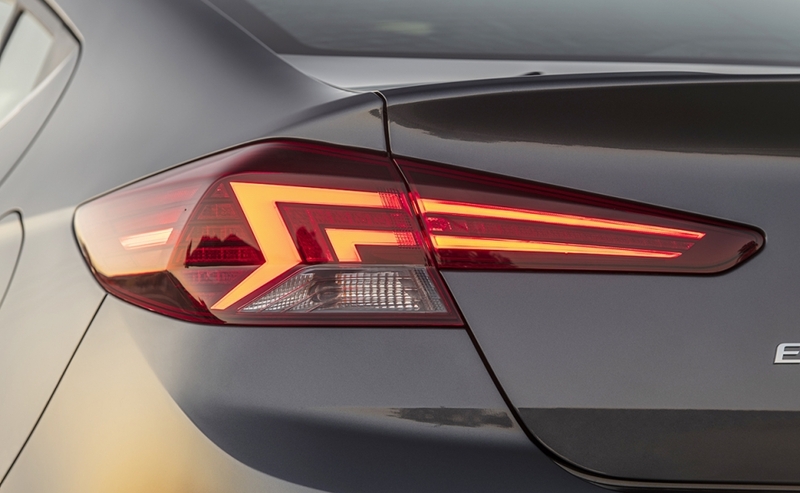 For the Limited and Sport trims, Hyundai added LED headlights with a light guide technology with a unique feature: When the lights turn off, it turns into chrome, O'Brien said. "It's basically a one-way glass technology, it gives it a very modern look during the day but also gives it a very advanced look in the night time," he added. 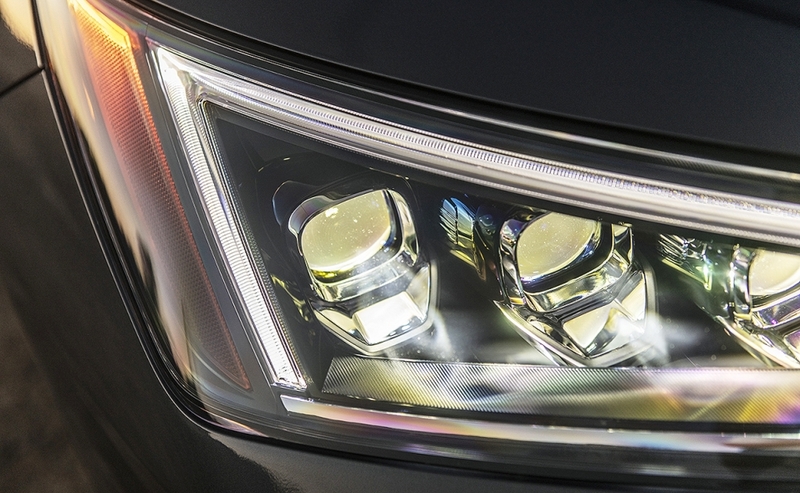 "This light guide technology, you'll see on some upcoming new models in the next few months. 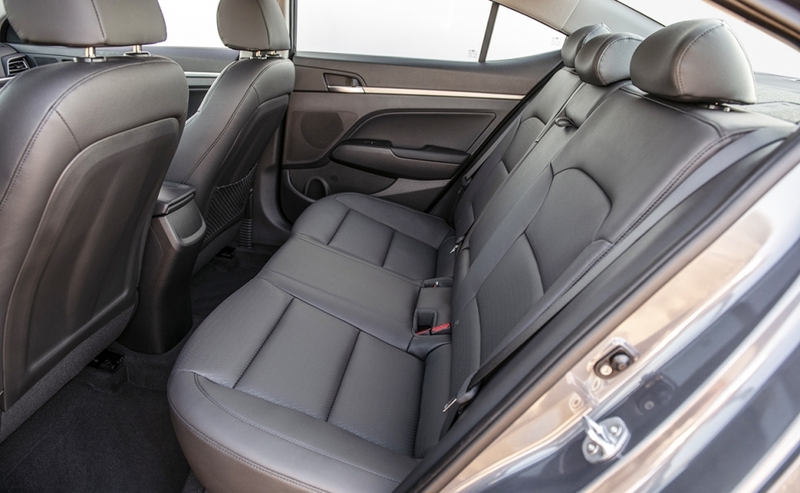 It's very expensive, but it allows us to give the car a very fresh and technology-rich feeling to it."